Wyndham Destinations has announced the proposed development of a new timeshare resort in Moab, Utah, working with developer Gardiner Properties. In addition, Wyndham has also announced it has started construction of new suites at its existing resort in Scottsdale, Arizona. Both properties are a part of the WorldMark by Wyndham brand, a portfolio of properties with more than 90 resorts in a variety of destinations from sea to ski, coast to coast that focuses on giving families more time together to make memories. Upon planned completion of the proposed resort in late 2020, the new Moab property is expected to feature more than 150 well-appointed condo-style units including one-, two- and three-bedroom suites for WorldMark by Wyndham owners and guests visiting the beautiful destination of Moab, Utah, gateway to two of America’s most stunning national parks. The resort will also feature WorldMark Presidential suites, featuring larger two-, three-, and four-bedroom suites with enhanced amenities. 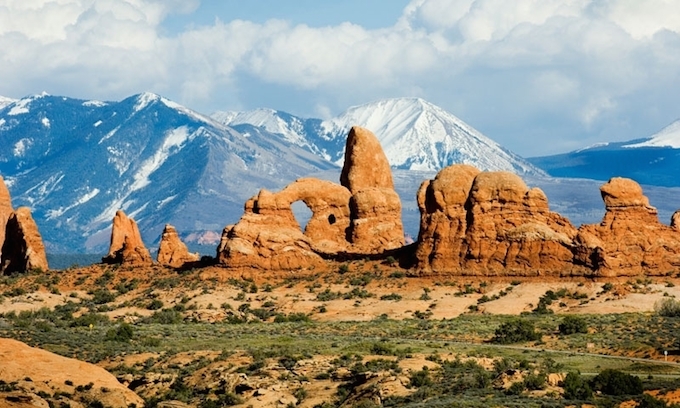 Moab is the only Utah destination where visitors can experience two of The Mighty 5 National Parks — Canyonlands National Park and Arches National Park — from one convenient location. 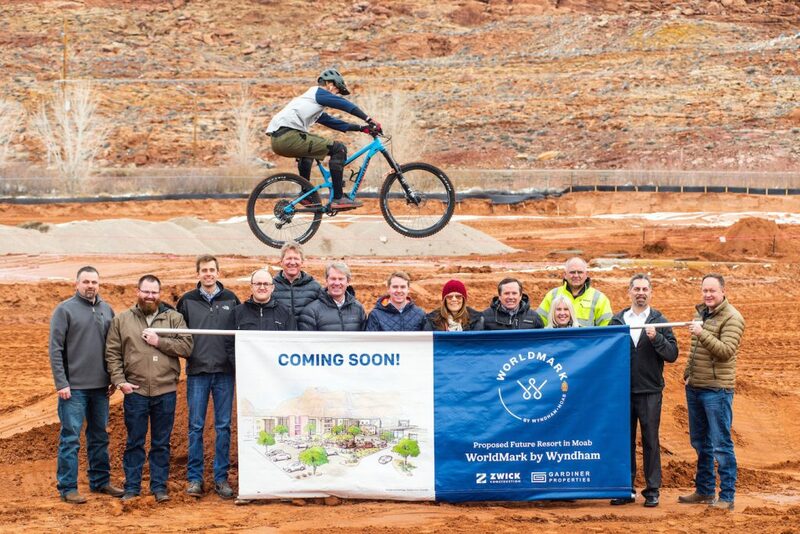 Officials from Wyndham Destinations, Gardiner Properties, and Zwick Construction celebrate the groundbreaking of a future proposed WorldMark by Wyndham vacation club resort in Moab, Utah. The ceremony featured the adventurous spirit of Moab, with a local cyclist soaring over the new construction site, in a nod to the city’s popularity as a mountain biking destination. The new resort is expected to open at the end of 2020. Moab’s proximity to amazing red rock landscapes, set along the pristine waters of the Colorado River, has made it one of the most popular outdoor recreation destinations in the southwest. Because of its proximity to the national parks, Moab is one of the most-requested new destinations for WorldMark owners. Located near the heart of the popular southeast Utah tourist destination, the proposed new resort will feature spacious suites that give families more time to spend together and include full amenities such as separate bedrooms, living and dining areas for relaxation, fully equipped kitchens and a washer/dryer in unit to clean up after a day in the parks. The resort will also offer balconies for taking in the incredible desert landscapes, and amenities including an outdoor pool, fitness centre, and activities for vacationing families. As part of the overall project, a sales gallery is also being constructed at the resort, which is projected to open in late 2020. The new resort will be the largest development project in Moab history and will be designed to complement the natural features of the region. The main entrance will include a glass entry allowing guests to enjoy the breathtaking beauty surrounding the resort. Michael D. Brown, president and CEO of Wyndham Destinations, said: “Our owners love the proximity of WorldMark by Wyndham resorts to national parks throughout the country, so families can explore these incredible landmarks while spending more time together. Gardiner Properties, LLC, will be developing the project, and upon completion of construction, Wyndham Destinations will purchase units at the resort and manage the sales and marketing of vacation ownership, resort operations, and timeshare homeowners’ association management. Gardiner Properties and Wyndham Destinations previously worked together on the Club Wyndham Park City vacation ownership resort in Park City, Utah. This will be the company’s sixth vacation club resort in Utah. Wyndham Destinations also operates Wyndham Park City in Park City, WorldMark Bear Lake in Garden City, WorldMark Midway in Midway, WorldMark St. George in St. George, and WorldMark Wolf Creek in Eden. The WorldMark by Wyndham vacation club is planning to add 40 suites to the WorldMark Scottsdale resort that overlooks the par 70, 18-hole championship Scottsdale Silverado Golf Course. The building will feature a new WorldMark suite design, which provides the generous space and modern amenities WorldMark owners have come to love. The new suites are expected to be available for WorldMark owners by late 2019. As a part of the expansion, the company is planning to offer additional Presidential suites, which feature larger one-, two-, and four-bedroom suites for families to enjoy even larger rooms and enhanced amenities for their Arizona adventures. With stunning views of Camelback Mountain, the rugged Sonoran Desert and meticulously manicured golf fairways as a backdrop, WorldMark Scottsdale is the perfect place to start a golf vacation, with more than a dozen courses nearby. 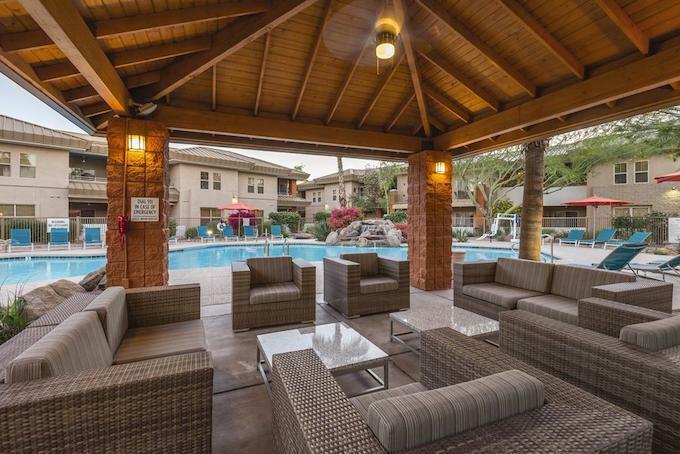 While the tranquil desert oasis may seem far away from the frenzy of the city, this resort is just a short drive from Old Town Scottsdale, the deluxe shops at Scottsdale Fashion Square and the Talking Stick Casino. Guests are close to museums and art galleries, the Desert Botanical Garden, and the resort can be a base for a day trip to popular destinations like Sedona, Flagstaff, or the Grand Canyon.